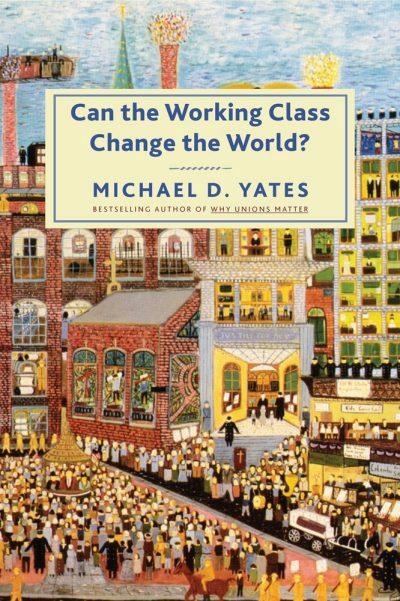 “Can the Working Class Change the World?”, Michael D. Yates Monthly Review Press. If the working class doesn’t save our vastly unequal and dying world, it’s difficult to see who will. Certainly not the billionaire class, which has the money to put the brakes on climate change by investing in renewables but has not yet seemed inclined to do so. They don’t seem particularly interested in eliminating inequality either. As for the better-off middle classes, they “are more likely to support fascism than profound social change,” according to Michael Yates in his new book, “Can the Working Class Change the World?” So that leaves the working class. Yates explains how workers can do this, but it’s not, he says, really a matter of can they, but rather that workers MUST change the world and quickly, before it’s too late – before climate change renders the earth inhospitable to humanity. While Yates is correct that “only radical thinking and acting have any chance of staving off…barbarism,” getting billions of people to act radically is a tall order. Everywhere, across the globe, barbarism advances. Only the combined efforts of workers and peasants could stop this, but the sleeping giant has yet to awake. The sobering truth is that if that slumber continues, we and the fragile biosphere that supports life could all die in our sleep. Posted on Monthly Review, from Eve Ottenberg blog.